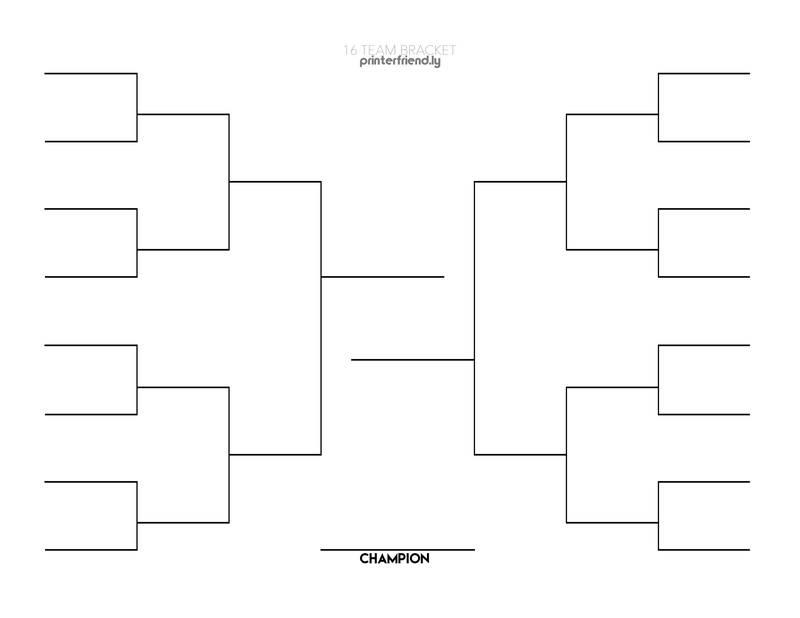 What is a 16-Team Bracket? Tournament brackets vary in size based on the amount of teams participating. A 16 team bracket works out as evenly as a 4, 8, 32, and 64 team tourney would. In addition to an even number of teams, there are an equal number of brackets as teams advance into the following rounds.